The experts of “Center for Strategic Litigations” NGO took the complaint of Mr. Ghuyumchyan to ECHR and worked hard on the case. 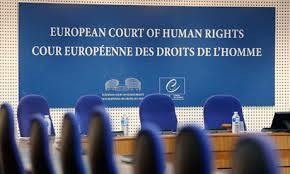 Today ECHR made a judgment on the case. The applicants case are the son (the first applicant), the daughter-in-law (the second applicant) and the wife (the third applicant) of Garegin Ghuyumchyan, now deceased. They were born in 1965, 1973 and 1947 respectively and live in Vanadzor, Armenia. This case concerned the applicant’s complaint that they had been deprived of access to court since they could not afford to hire an advocate. In the first case the late Garegin Ghuyumchyan and his wife Gyulnaz Ghuyumchyan ran a small family business. In July 2002 Garegin Ghuyumchyan was charged with bribe-taking. In September 2002 the charges were dismissed for lack of evidence, and in 2004 the family sold the business. In October 2004 Garegin Ghuyumchyan instituted proceedings seeking compensation for wrongful prosecution. The first and second applicants joined the proceedings. Garegin Ghuyumchyan was not represented during these proceedings. His claim was allowed in part. He appealed and ultimately the Court of Cassation refused to consider his appeal on points of law on the ground that it had not been lodged by an advocate licensed to act before it, as required by the domestic law. Relying in particular on Article 6 § 1 (access to court) of the European Convention on Human Rights, the applicant complained that they had been denied access to the Court of Cassation as they could not afford the services of a licensed advocate. Violation of Article 6 § 1 (access to court) – in respect of Vahan Ghuyumchyan (the son of Garegin Ghuyumchyan) Just satisfaction: 3,600 euros (EUR) each to Vahan Ghuyumchyan in respect of non-pecuniary damage.